Based on my personal experience, and as founder of EasygoMover located in Attleboro MA, I have created a comprehensive list of tips for packing household goods for our valued customers in Massachusetts, Rhode Island and all that is going to take advantage for any size of move, local or long distance. 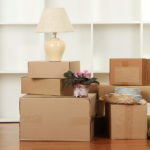 A list of household goods packing tips could be a long checklist of criteria one might have to go over when considering moving personal goods. It goes without saying that improper packing is one of the major concerns when it comes to breakages and damage. How to Pack Household Goods Safely? Different household goods will have to be handled in different ways to ensure they are secured, correctly packed and can be moved easily. The most important thing is to have an in-depth discussion with your shipping consultant while making your initial inquiry. If you disclose all important information about all the articles that you need moving, it makes the whole process easier to organize from a shipping, packing and loading point of view. We offer professional and affordable packing services to all our clients who may not have the time to pack themselves. Remember, moving is a three step process. Careful unpacking of the goods upon arrival at your new destination. Helping Kids make the transition while while moving. Moving can be an especially stressful time for kids, particularly if they’re leaving their school or friends behind. These tips help make the transition easier and less stressful. Tell kids as soon as you can: To give kids as much time as possible to adjust to the idea of moving, be sure to tell them as soon as you can. But even if the move is months or weeks away, be sure to make it clear the decision is final. Give them plenty of information: Children may feel a little lost when you tell them they’re moving, but by offering details, you can reassure them. Tell them the details of where, when, why, how you’ll be moving. Encourage them to ask questions: Kids may be curious about what’s going to happen, why you have to move, and more, so be sure to leave the door open to as many questions as they need answered. Be positive: Children may focus on the negative aspects of moving, like changing schools and leaving friends behind, but be sure to point out the exciting parts of the move, like getting to paint and decorate their new room or even getting a space to themselves if they had to share before. Show them their new room: Help kids get excited about their new living space. Show them their room as soon as you can and help them plan furniture and paint colors. Say goodbye to friends: Plan a fun goodbye, like one last slumber party so that your child can have a fun sendoff. When you get to your new home, make an effort to meet new friends to make the transition easier. Give your child tasks: Give your child responsibility during your move. Encourage them to sort and pack items, picking out anything they want to donate or sell. This gives them more control over their belongings in a time when they may feel short on control. Make a moving fun kit: Keep kids occupied with a fun moving kit. Pack it with books, games, journals, pictrures, music, other important items they can occupy themselves with. Play hide and seek at your new house: Encourage exploration and fun in your new home with a game of hide and seek. Hire a sitter for moving day: Moving is stressful for everyone, and kids are no exception. Small children especially may be underfoot and require an adult to watch them instead of pitching in. It’s best to simply leave them with a sitter for moving day so that they can relax and have fun while you do the hard work. Unpack their room first: Help them settle in quickly by making their room comfortable to live in. Maintain as much consistency as possible: Keep the same meal, play, and bedtime hours for normalcy. Helping pets make the transition while while moving. Just like people, pets can be scared, stressed, and anxious during moves. Use these tips to alleviate their worries and make them more comfortable as you move into your new home. Make sure your new home is pet friendly: Before moving in, make sure pets are welcome in your new home. Check lease agreements, take a look at fences, and make sure there is a space where they can be comfortable. Put ID collars on pets: Pets can get lost in the transition of moving, and if you’re not even in the neighborhood anymore, it can be difficult to be reunited. Make sure all of your pets have ID collars with your current phone number and new address so you’ll be easy to locate if they become lost. Consider a microchip: A microchip offers advanced ID collar protection, allowing you to store information that can be scanned by a vet in order to find you and reunite you with your pet. Get an appropriate sized travel kennel: Be ready to move your pet with a comfortable travel kennel. If you can, give your pet a chance to explore the kennel and get comfortable for a few days before you actually use it. Give your pet a safe room: If your pet will be in the house with you either at your old home or your new one, make sure they have a safe space to stay with a closed door so they don’t run out the front door while it’s open. Give them toys, food, a bed, and a litter box. Be sure to put a sign on the door so others know not to open it and accidentally let them out or disturb their peace. Drop them off at a kennel: Better yet, give your cat a day out at a kennel where they can be comfortable with other pets and the attention of kennel staff. Give plenty of treats and attention: Your pet may be worried about the transitions during moving and may feel upset. Even though you’re busy, remember to take time to give them plenty of attention, treats, and reassurance while keeping an eye out for anxiety. 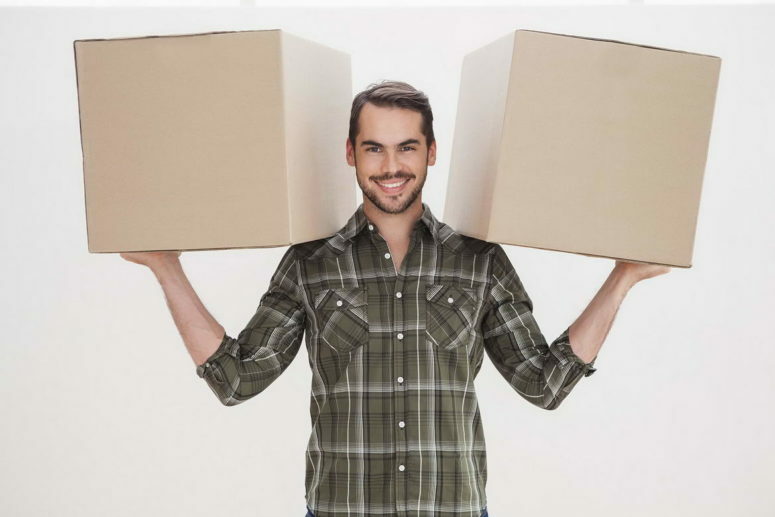 PrevHow To Lower your Moving Cost!